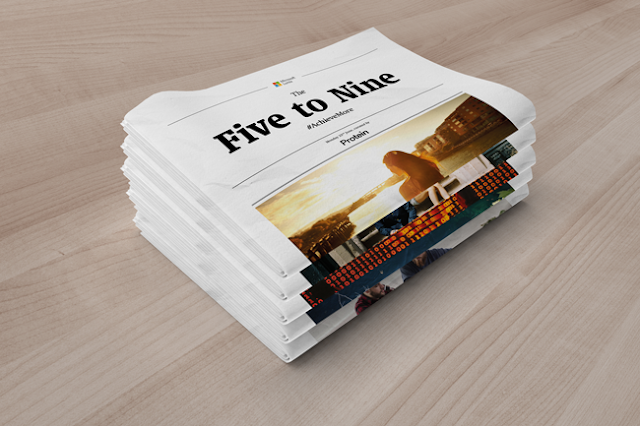 Microsoft Lumia announced the launch of a limited edition commuter newspaper, The Five to Nine, with five daily issues to be published between 22 June and 26 June and distributed the following morning. The Five to Nine newspaper will inspire and encourage people to get out of the office and do what’s creatively and personally important to them. As people work longer hours, they are not able to spend time doing the things they are passionate about outside of work. The Five to Nine newspaper demonstrates what can be achieved by using technology to work smarter and more efficiently. Microsoft Lumia also believe that when people are happy and inspired they work more efficiently, so whilst most newspapers lead with stories on crime, disasters and scandal, The Five to Nine newspaper will focus on positive, uplifting content. 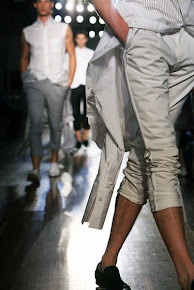 Wednesday 24th June | Fashion: Schön! In addition to commissioned content, the newspaper will crowd source “good news” stories, life hacks and musings from contributors across the UK via collaborator networks and social media. Budding creatives and members of the public can submit content using the hashtag #AchieveMore. Each day’s editorial team will also host a free workshop where members of the public can learn a new skill or listen to an industry professional at The Five to Nine workspace at Protein Studios in East London. ‘The Five to Nine’ newspaper will be edited every day between 5pm and 9pm at Protein Studios, 31 New Inn Yard, London EC2A 3EY and 10,000 copies of The Five to Nine newspaper will be distributed the next morning at creative and commuter hubs in London, Birmingham, Manchester, Bristol and Edinburgh.